Too many business owners and property investors start a business without a firm plan or any way of achieving goals that they set themselves. But starting a new business venture is better than still working for the man, putting in long hours for a paltry reward and being utterly despondent with where your prospects are taking you to, isn’t it? It does help if business owners are keen and enthusiastic, but people often find themselves being distracted or swayed by the latest opinions, and people often get too embroiled in chasing the golden goose but they don’t focus enough on how to really achieve success? There are many reasons for property and business success and the core of Matthew Moody’s “Cracking The Property Code” on 29th March 2014, Park Inn Hotel, Silver Street, Northampton, NN1 2TA – From 9.30am-6pm includes Matthew’s 5 Stage Blueprint to Mastering Your Business, a simple yet highly effective structured plan to allow business owners to focus on launching your business whilst covering each aspect of setting up your business correctly at the same time. Register for Cracking The Property Code Event on 29th March 2014 Here! so why not learn on the job? And if you’re already in business, use this post as a reminder to revisit your initial ideals of why you set up your business in the first place – and examine if it is still working for you the way you wanted it too. 99% of businesses fail because they fail to commit to the right path or goal and do not follow a structured wealth building plan. This is the hardest part of all (yet once you’ve mastered this, you can achieve anything you wish) and will involve you stepping up and putting down a stake in the ground to committing to your end goals, outcomes and strategies. We focus on Commit in two parts – the act of Committing to a life-long goal and vision and the act of Committing to a chosen strategy or business. We all know of the 100’s of me-to businesses; why not be one of the 1% of outstanding businesses that attracts people to it? By taking a business idea, product or service, we move this from the design stage to the stage of creating a business that attracts staff, customers, suppliers and fans to it. We work through the stage of creating your own business model and become a make-it big business – one that others want to emulate and copy. The sustainability of any business lies not with its founders or staff but with the customers that order over and over again. By nourishing, nurturing and developing both the business and its customers, we end up growing a business that has people wanting to buy products and services as soon as they are launched. This isn’t just about your current customers but your past and future customers too and how you manage and work with them on a current and future basis. There are dozens of badly run businesses with great products and services that are let down by their delivery, processes and systems or the inability to expand without creating chaos. This is the part where we put in the systems and processes that will allow you to have that holiday in the Caribbean or Indian Ocean without worrying about your business. When all is said and done, if you’ve expounded time, effort, energy and emotion on the physical act of creating a business – and you’ve followed the other 4 parts of the blueprint, you’ll end up with a very successful business. Too many people settle for second best but they should be aiming to dominate and be the number 1 player in the market place. 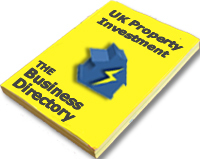 But how can you Achieve property and business success quickly and effectively? This part is where it gets really exciting! Attend “Cracking The Property Code” workshop on March 29th 2014 at the Park Inn Hotel, Silver Street, Northampton, NN1 2TA – From 9.30am-6pm. There’s so much content in this workshop that you’ll probably leave the workshop drained but exhilarated by how much you’ve covered! On top of the valuable education you’ll take away with you, you will also have the chance to network with professionals who are there to learn HOW to build a successful business. Matthew wants to remove all the risk for you of taking time out, travelling to Northampton, spending a day in a seminar room and you hating it. Matthew has only ever had one person ask for a refund in 10 years of working with people, but hey that’s life! Achieve Property And Business Success By Attending Cracking The Property Code – March 29th Northampton – Money Back Guarantee! This is Matthew Moody’s personal guarantee for the “Cracking the Property Code” workshop. Join him for the event- network, drink the coffee, soak up the information; and if in the unlikely event that it does not live up to all your expectations- just let Matthew know before lunchtime and he will give you a prompt and courteous refund. No questions asked. So, let’s just recap for a moment. and actually build a six figure business? Register for Cracking The Property Code Here! How To Make More Money From Property Investing! 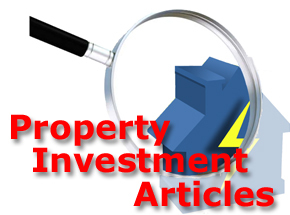 Discover the simple steps required to make more money from property investing! An extra £5,000 per month is very achievable, if you know how! If that idea is interesting to you then we recommend that you take action now and register for a NO COST webinar with top UK property educator and property investment expert, Simon Zutshi, on Monday 3rd February at 9 pm (GMT). The founder of the PIN network and author of the best-selling book “Property Magic” will share with webinar attendees two simple strategies, either of which could make you £5,000 per month, part-time from property. 1. How to find more motivated sellers at no cost to you. To join Simon Zutshi on this totally invaluable and free webinar on Monday 3rd February at 9 pm just CLICK HERE NOW to register. Simon normally only shares these two strategies on his 3 Day Mastermind Accelerator workshop but he going to share them with you on this NO COST webinar. PS. There are only limited spaces left for this free webinar so we recommend you take action immediately and register your interest now by clicking here! – It’s quick, simple and FREE! What’s Stopping You Achieving Your Property Goals? Learn How To Achieve All Your Property Goals! There are many paths that people can follow in order to reach their property goals, but do you know which is the right one for you? Would you like to find out how you can achieve all of your property goals? people just can’t seem to get it to work for them? There are any number of driving forces behind a person’s desires, but what are the best ways to achieve success? There are plenty of ways to acquire specialist knowledge, and there are even ways of gaining support on your property journey, but people find that they struggle to get themselves in the correct mindset mainly because of an unsupportive environment. At lease that was the case until now! On Sunday 19th January 2014, founder of the Property Investors Network (PIN), top UK property educator and best-selling author of “Property Magic”, Simon Zutshi, is running a one off, one-day seminar in Birmingham specifically designed to help aspiring property investors develop a winning mindset to achieve their property goals or anything else that they desire. This is not a gimmick or paltry excuse to make people part with money, this is a unique opportunity to understand a vital element that can make the difference between success and failure for many property investors. There is a cost involved to attend the live event, but if property investors don’t invest in themselves and their education, they are already on the way towards failure. Don’t become a sad statistic, take action and make it positive! Without the correct mindset, many would-be property investors, struggle, flounder, give up and go under because they weren’t mentally ready for the perils and pitfalls of their property journey and they were not prepared for the mental stress that can go with property investing. Don’t worry if you can’t make it to Birmingham on the 19th January, this inspirational one-day seminar is also going to be streamed live on the Internet to maximise the benefit to property investors who want to achieve their property goals, more details in the video. Click here now to watch a short video from Simon who will explain what the day is all about and how you as a property investor can benefit from it. We are sure you will find this unique opportunity really useful and we will be watching the live stream with a great deal of interest and we will be taking plenty of notes during the day as there will be some incredibly valuable nuggets of information that Simon will be sharing. This is a unique opportunity for property investors to have a sneak preview behind the scenes of Simon Zutshi’s highly successful Property Mastermind Programme. We highly recommend you take this golden opportunity and learn from this unique behind the scenes experience because it will help you acheive your property goals! How would you like to earn a full-time income, by working only part-time? The property investor delegates on Simon Zutshi’s ultra successful Property Mastermind Program are working towards exactly this goal. And for a very limited time, you can too! On Monday 18th November 2013 top UK property investing educator, best-selling author of “Property Magic” and founder of the PIN network, Simon Zutshi will be holding a very special “Pre-Berkshire Property Meet” Property Investing Success workshop from 2pm to 5pm, at the Holiday Inn, Maidenhead, where the Berkshire Property Meet is held. Simon Zutshi will be sharing some of the systems and processes that are normally reserved only for his Property Mastermind program delegates. There are just 2 Places Available for Reena Malra’s Lease Option Vs Instalment Contract Secrets Revealed Masterclass, TOMORROW – 28th September 2013 at Heathrow airport. There are still 2 Places Available for Reena Malra’s Lease Option Vs Instalment Contract Secrets Revealed Masterclass on 28th September 2013 at Heathrow airport. Discover how to adopt the Millionaire mindset needed to transform your overall view of the world that will allow you to become Financially Free! Discover and understand the concept of Wealth Magnetics, the biggest success secret of the mega-rich and why this concept will open the door to massive property profits for you! Reena will reveal her top performing marketing techniques to help property investors to source highly profitable leads straight away. Discover over 100 ways to market yourself and find out how to generate solid buyer and seller leads, giving you an unlimited supply of properties to target excellent profit making potential! Get the scripts and exact wording that Reena personally uses to talk to buyers and sellers that generate excellent quality leads! These high performance scripts will have your phone ringing off the hook, even if you’re a complete novice. Discover the Property Goldmines on your doorstep that can provide you with instant profits and a residual monthly income for the future! Now Is Definitely The Time To Increase Your Property Portfolio! UK property prices are already rising, but within the next few months it is more than likely that property prices will rise at a much faster rate – this is already being observed in some areas of the country and investors need to take immediate action if they want to expand their property portfolio’s or get into property investment. There are still motivated property sellers around who need to sell right NOW! And, as ever, the best property investment strategy for purchasing investment properties at the lowest prices is to find these highly motivated sellers. To learn how to grow existing property portfolio’s and achieve fantastic results by dealing directly with property sellers yourself, now and in the future, MyPropertyPowerTeam are delighted to be able to offer a huge discount for a very special Property Investing Quick Start (PIQS) one-day seminar – Tomorrow – Saturday 14th September in London.